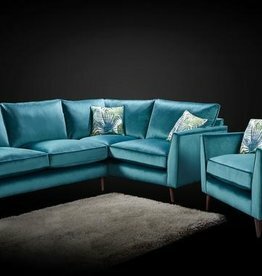 Discover our wide range of corner sofas. Selection of sizes, material & style. Heath fabric collection available in: stone, cream,charcoal & silver. Nevada faux leather collection available in: brown, chocolate & black. Available in: left & right hand side. Botanical fabric collection available in: brown, green, grey, mustard, navy & teal. Alassio fabric available in: silver, charcoal, putty or mink. Available in casino crush fabric, in silver, sky, taupe, terracotta,camel, granite & lime. Waterloo standard electric recliner corner sofa. 4 seater, available colours: fawn or smoky. Two power recliners. W:195 x W:250 cm. 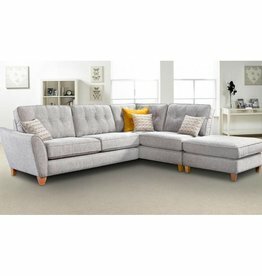 Waterloo deluxe electric recliner corner sofa. 5 seater, available colours: fawn or smoky. Two power recliners. W:250 x W: 250 cm. Available colours: dark grey & light grey. Available colours: light grey & dark grey. With a choice of 7 different colours. Foam seat cushions, back & seats reversible cushions. Available sizes: small chaise, large chaise. Brooklyn fabric collection available in: beige, charcoal, mink & silver. Torino 3 seater with chaise in light grey. Made of 100% Italian leather in a light grey colour. Futuristic design and adjustable headrests. Available in: 3 C 3 , 2 C 2 , 3 C 1 or 1 C 3. Augusta fabric collection available in: charcoal,cream,brown & grey. 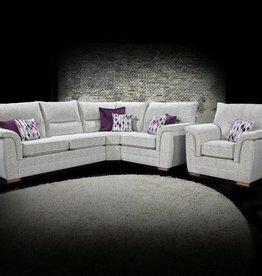 Thoresby corner sofa in grey. Supportive high back for great comfort. 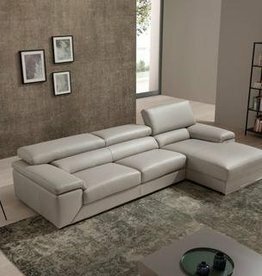 Modern Corner sofa in grey. Durable fabric allows this sofa to take constantly daily use.